There is much debate in regard to the term Shamanism and how it relates to North, Central and South American indigenous Indian cultures. For this reason I have decided to create this page to specifically address this. This page has the potential to evolve into a further study of these cultures but for now the focus will remain in the realm of “spiritual practices”. The term spiritual practices in itself is controversial as my understanding is that most Indians do not consider this “spiritual” but simply a way of life that encompasses all they do. Occasionally I may use the term "man" or "men" as pertains to humans not gender. Also take note in American Indian culture "medicine" is a very important word and is not only the use of herbs and such but can encompass many things including ritual, dance, objects and the importance of dreaming. The healing process has always contained a knowledge that the body and spirit must work together to heal and be whole. (something modern western medicine seems to just now be realizing) The Navajo call it "walking in beauty". Shamans too know this. One last point on words here. 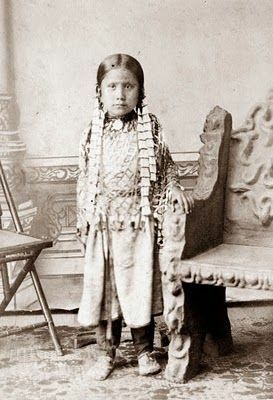 There has been an ongoing controversy an the terms Indian or Native American Some say it is worked out but I choose to use “American Indian” in a general sense while discussing Indians of the Americas, especially in regard to the term “Native American”. Lakota activist Russell Means (he used the traditional term "Lakota" rather than the term "Sioux", which he viewed as a derogatory white word) who has said “I abhor the term Native American”. He speaks of this in his speech given in July 1980. (Wiki List of Indian activists odd Means is not in this list) and more on the term Native American Here So let me begin. At times this may veer away from Native American thought and meander off into shaman areas of other cultures or even "magick" or "magic" (more on the difference in those terms also on the Shamanism, Paganism and Magick sections on the site, see vertical navigation) when the flow goes that way. I was once asked what I thought the difference between Shamanism and Medicine Men was. So I will begin with what I was saying in response to travel down the road of this inquiry of shamans and medicine men. In brief, I think it is much a problem with language, misconceptions and an overall lack of knowledge of history, and mythological/spiritual cosmology. One basic difference I see is that in “shamanic” tradition it seems that the idea of “religious ecstasy” is a central theme of shamans, but not central to the practices of Indian “medicine men”. The words “shaman” and “medicine man” are both European terms imported and spread across the world in the exploration/exploitation during the advance of European empire. 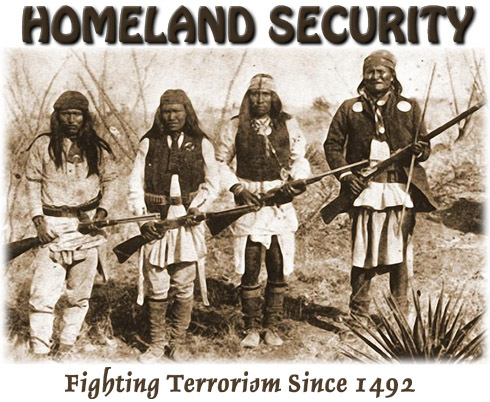 Neither are what the indigenous people call themselves. Pictured here is Lucy Thompson (1856–1932) is an author known for her 1916 To the American Indian: Reminiscences of a Yurok Woman. The Yurok (California's largest tribe) Shamans were believed to have the power to cure disease; this power being given only to women. Spiritual aid was invoked through ritual, medicine songs, which often had a "sobbing" vocal quality, and spoken formulas. The Brush dance is a special ceremony held to heal a sick child. Conducted by the shaman, the family of the sick person hosted the dance which often took place in their home, the roof of the plank house being removed. Members of the tribe, and other local tribes would participate, or just spectate, as the dance continued all night. "Every human being is a raindrop. they then become the power of the storm." Brought the Lakota 7 gifts. the marriage ceremony, the vision quest and the sundance ceremony. deemed a motive force behind miracles, soothsaying, divination, prophecy, blessing, cursing, prayer, worship, and superstitions. 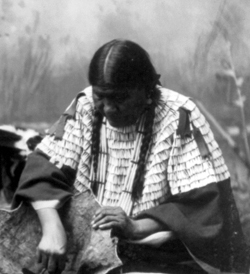 Geronimo, a religious and military leader of the Chiricahua Apache, who tenaciously fought against Mexico and the United States' expansion into Apache tribal lands for several decades during the Apache Wars, was initially known by his Apache name: "Goyahkla" (One Who Yawns). "Later he was called Geronimo (Spanish for Jerome), most likely because of the way he fought in battle against Mexican soldiers who frantically called upon St. Jerome for help. equivalent of the tribal chief. He was the only non-Indian ever to serve as a governor of an Indian Pueblo. Many concepts of spirituality behind the Medicine Wheel as that is very specific, sacred and rather personable to Native American Nations, Tribes, Clans, Bands, Families and most important Individuals. Always know that the symbolism varies greatly from Nation to Nation. 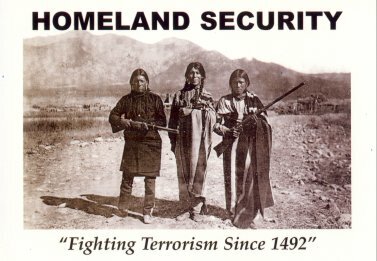 January 23rd, 1870 – In Montana, U.S. cavalrymen kill 173 Native Americans, mostly women and children, in what becomes known as the Marias Massacre. Following public outrage, the long-term result was a shift in the policy of the Federal Government toward a "peace policy" as advocated by President Ulysses S. Grant. 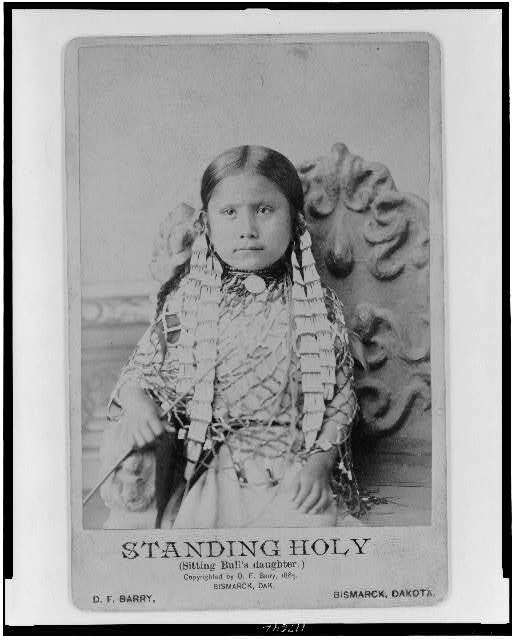 first Native American woman known to secure a copyright and to publish in the English language. Who are the Two Spirits? arrive in Haiti 4 December 1492. Second voyage left Spain 24 September 1493. Third voyage left 30 May 1498. Fourth voyage left 11 May 1502. Hernándo Cortés, landed on the Gulf Coast in the spring of 1519. Conquest of Peru started In 1530, lands in Florida May 1539 then moved west across America killing Indians. He died May 21, 1542 in what is now McArthur, Arkansas. South Carolina slave trade began with the Sewee Nation The slave trade was the basis of it's economy. Later African slaves were imported to work. As late as 1730 1/4 of the slaves being bought and sold were still Indians. Jeffrey Amherst is reported to be the one who purposely gave smallpox in blankets during Pontiac's Rebellion. 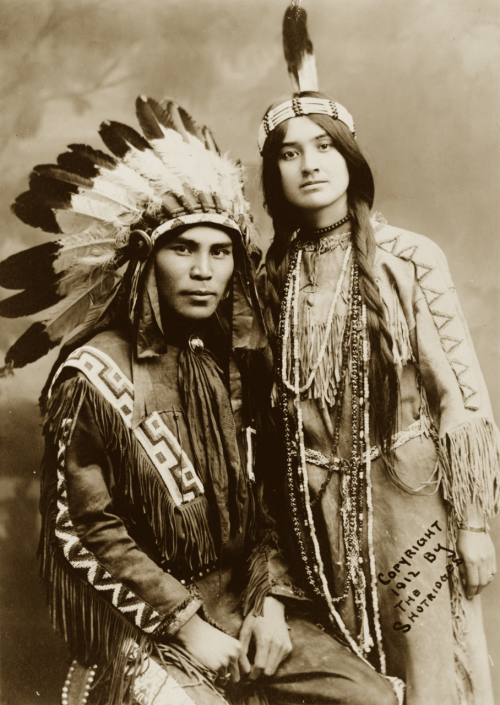 "Could it not be contrived to send the small pox among the disaffected tribes of Indians? We must on this occasion use every stratagem in our power to reduce them." where it remained for more than two decades. His body was cut into quarters and hung in trees.